Beautiful skin is every woman’s dream. We all want to stay young and beautiful at all times. But maintaining the glow of beautiful skin in modern day’s fast paced world is difficult due to everyone’s busy lifestyle. Hence we often end up looking after the most important part that signifies beauty – the face. We thus tend to ignore our body needs and gradually notice dry and damaged skin on our hands and feet. It is thus always important to use a body lotion all through the year to maintain soft, smooth and radiant skin not only on your face, but in all parts of the body. To choose the right body lotion, the first step is to know your skin type and choose the option that suits you. Addressing specific needs of nourishment and indulgence, Dove’s range of body lotions are available in three variants for dry, normal and normal to oily skin. Its unique deep care complex nourishes your skin even to the deepest layers making it soft and smooth from the outside and healthy from the inside. Women are always crying over dry and under nourished skin and are constantly applying products to make it shine and silky. 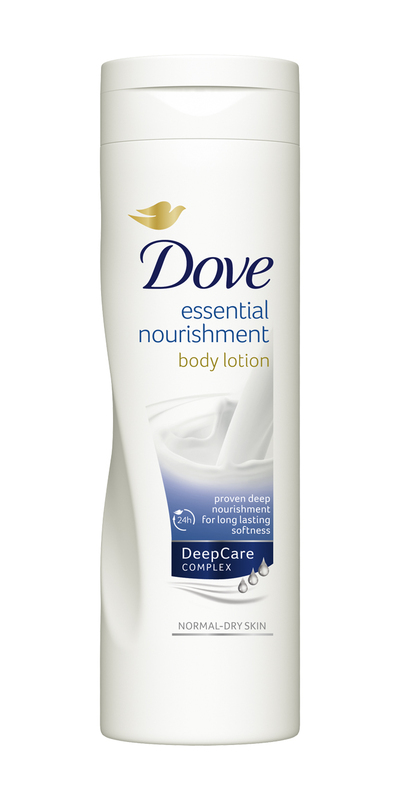 Dove Essential Nourishment is the purest exemplification of Nourishment and it best for normal-dry skin. This body lotion’s body milk not only nurtures the skin’s surface, but also works deep down for long lasting beautifully soft & smooth skin. It is extremely easy to spread with deeply moisturized feel but not sticky or oily. Being clinically tested no other lotion nourishes deeper for long lasting soft smooth skin than this variant. Shea butter is like a gift to the women’s dull skin body as it turns almost any dry skin patch into a smooth and supple surface. Dove Indulgent Nourishment is a rich combination of nourishing cream and Shea butter extracts that leaves the skin feeling beautifully pampered and tenderly scented. The indulgent variant employs an unique blend of ingredients precisely designed to allow the delivery of the highest levels of skin nourishment within the range but without any skin negatives such as oily or greasy skin after-feel. This variant is for the normal skin type and helps in making the skin glow at all times. Nature has given us many resources for enhancing our beauty and we need to identify those resources to get benefited by them. Dove Go Fresh Nourishment is Dove’s very own range of body lotions with absolutely real ingredients. With its cooling sensation and fresh cucumber & green tea scent is a beauty essential that nourishes and refreshes your skin. 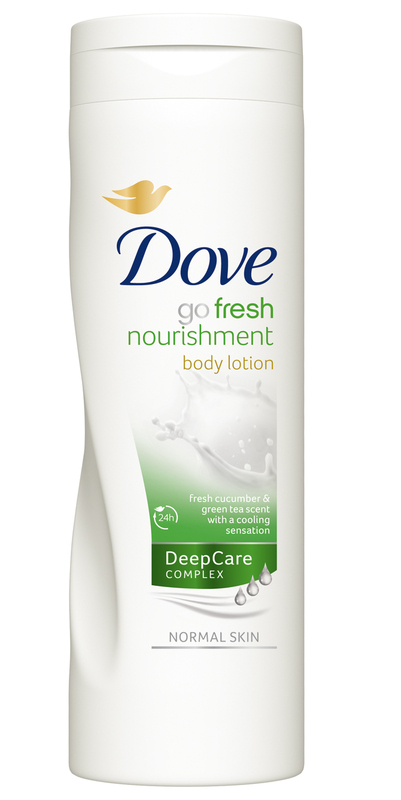 Dove Go Fresh Nourishment body lotion is improved with rich cucumber extracts and green tea scents which helps in leaving the skin feeling soft and smooth along with a cooling sensation. Which one is your pick?